Making it easy. Really, really easy: Marketing, interaction and graphic design. 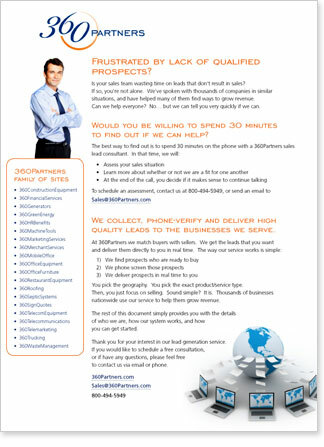 360Partners sells leads to service providers in many industries. They needed a page that explains the benefits of their services and allows interested service providers to sign up easily. We created a call-to-action widget and a page for suppliers with a clear, friendly design and a simple signup interaction. We organized their information. We gave it a real visual hierarchy. We simplified and smoothed out the sign up interaction, including what happens once the new sign up enters their main web application. 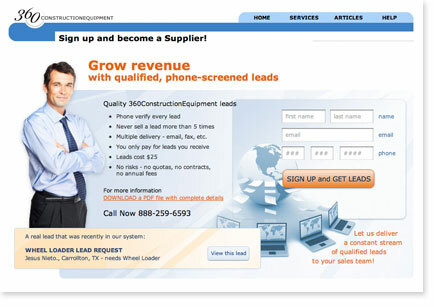 Our sign up page is installed on 20 of the 360Partners sites and has become the primary method for gaining new lead buying clients for 360Partners. 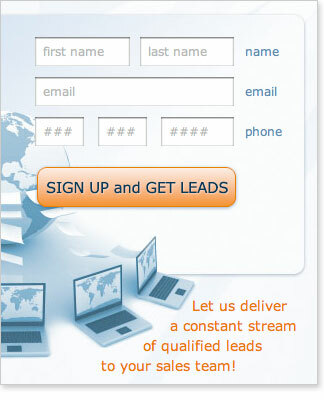 Detail of the Supplier sign up page. The downloadable pdf that provides complete info.